Do you know how ‘sensitive’ your bonds are to changes in interest rates? If you’re like most people, you own some bonds in your 401k, most likely within mutual funds and or exchange traded funds (ETFs). It’s important to know how changes in interest rates can affect your 401k. One of the big reasons it’s important to pay attention to your bonds today is that rates have been going up. Due to the inverse relationship between interest rates and bond prices, bond values have been falling. Since 2015, the Federal Reserve has increased something called the “fed funds rate” 8 times as of November 2018. There is likely to be yet another rate increase when the Federal Open Market Committee (FOMC) meet’s next in December. With rates on the rise, what could happen to those bonds in your 401k? Recall what happens when the stock market falls in value. 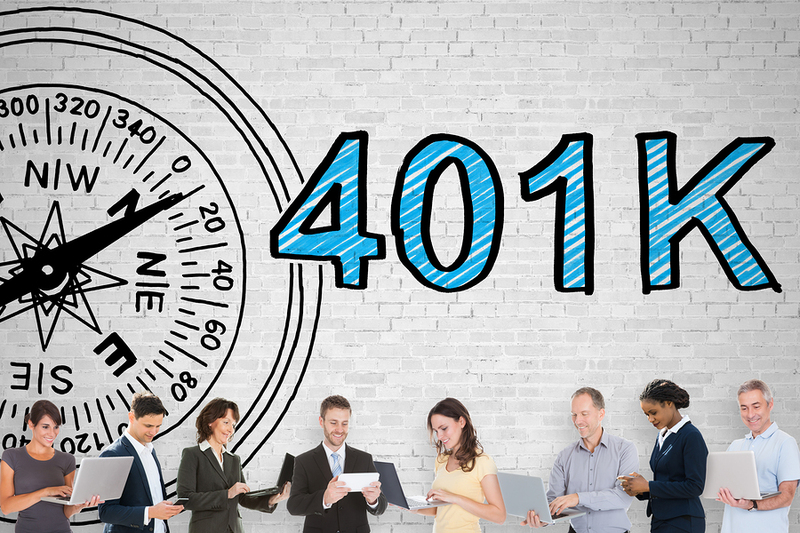 What happens to your 401k? If you have a generous investment in the stock market at the time, your 401k value goes down. Well, bond values can go down, even significantly, in a rising rate environment. While most believe bonds to be a safe haven for your money, in a rising rate environment, the risk of loss can increase. On average, interest rates have been falling over the last 30 years. This means that the yield on your bond portfolio may have gone down but the prices of the bonds may have gone up! Many have enjoyed positive returns from the fixed income exposure within their 401k and/or other investment portfolios. Watch-out though, if you own bonds–in particular, bond mutual funds and/or ETFs–a rising rate environment can be a bit more treacherous. If rates rise, bond yields rise and the price of a bond that’s already issued falls. It’s really not a problem if you own the individual bond and plan to hold it to it’s maturity date, with the exception of a default. However, if you own it within a bond mutual fund and/or ETF, as many do within their 401k, the underlying bonds are not ordinarily held until maturity and in many cases, by prospectus, subject to things like minimum maturity rules. Also, investors in mutual funds are subject to other investors redeeming their shares. In so doing, the mutual fund manager may have to sell bonds to meet those redemptions. In a declining interest rate environment, the fund may be realizing gains on the sale of those bonds and those gains will be distributed to the remaining shareholders. On the other hand, in a rising interest rate environment, the fund may be realizing losses on the sale of those bonds. Losses, from a portfolio management standpoint are only useful if there are gains to be offset. This mean’s that you may not necessarily experience the rate of return that you anticipated like you might have otherwise if you owned an individual bond. The way you own a bond, whether it be an individual bond or a basket of bonds within a mutual fund or ETF matters. And, in a rising rate environment, we believe it’s important to know not only what you own but how you own it in order to better understand both the potential risks and the potential rewards. Of course, it all depends on whether the rates that go up are short, intermediate or long-term rates, the time until maturity, quality, and the amount of the coupon of your bonds, among other things. That’s why it’s important to be aware of your bond portfolio or bond funds when there’s a greater chance of rates rising. If you haven’t already, it’s time to review your fixed income investments in light of the current rising rate environment. If you have specific questions, please send us an email at info@lenityfinancial.com. Important Note: The views expressed in this post are as of the date of the posting and are subject to change based on market and other conditions. This post contains certain statements that may be deemed forward-looking statements. Please note that any such statements are not guarantees of any future performance, and actual results or developments may differ materially from those projected. Please note that nothing in this post should be construed as an offer to sell or the solicitation of an offer to purchase an interest in any security or separate account. Nothing is intended to be, and should not be taken to be, investment, accounting, tax, or legal advice. If you would like investment, accounting, tax, or legal advice, you should consult with your own financial advisors, accountants, or attorneys regarding your individual circumstances and needs. No advice may be rendered by Lenity Financial, Inc., unless a client service agreement is in place. Source: Fortune Magazine 9/26/18, Trading Economics 10/17/18, Board of Governors of the Federal Reserve, Lenity Financial, Inc.